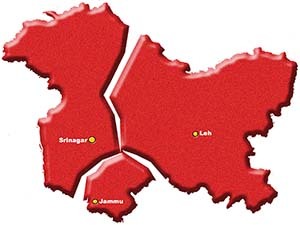 IT has been seen that whenever the National Conference rakes up the demand for the restoration of greater autonomy in J&K, the demand for the trifurcation of the state makes mild reverberations. Hence, the recent demand of the RSS for trifurcation made at its national executive meeting in Kurukshetra may also be concurred by many as a move to checkmate the National Conference resolve to seek greater independence for the state. THE Solan police have launched a unique film-based project to educate the local populace on their rights and duties. Titled Aap aur Hum and shot entirely in and around Solan by the district police chief SZH Zaidi, the film’s characters are real life people. ELEVEN-YEAR-OLD Nakshdeep who played the role of chhota Bhagat Singh in The Legend Of Bhagat Singh is the only child of Komal Singh and Amarjeet Kaur, residents of SAS Nagar. Naksh, a student of Class VI of Tender Heart School, Sector 33, Chandigarh, is an extremely confident, brilliant and cheerful child. ON July 11, 2001, Vipin Kumar, an undertrial, died in Central Jail, Ferozepore, under mysterious circumstances. Rajinder Singh Negi, another undertrial, met his tragic end under unexplained circumstances in the jail last year on July 12. Balbir Singh, son of Basta Singh, also died in jail allegedly due to non-availability of medical treatment and Anwar, son of Fali Ram, died of an illness in jail on June 24 last year.